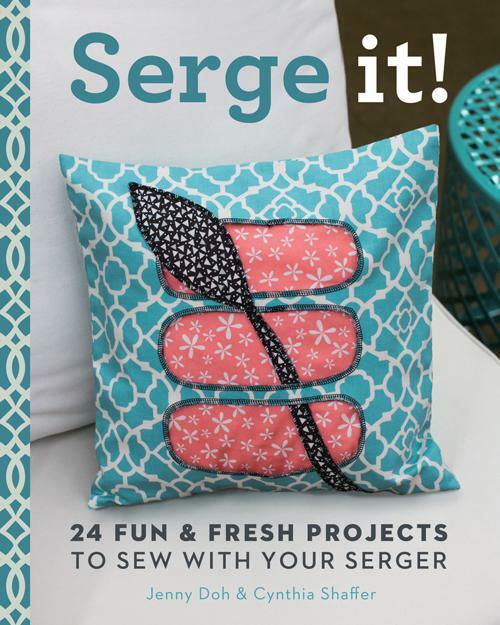 Go beyond a basic finished edge with these 24 fresh, modern cute projects that unleash the creative potential of your serger. From a sweet ruffled purse to costumed puppets, and fruit themed trivets. Each project includes ample howto photos step by step instructions. While several of the projects also involve the use of a sewing machine, most are made from start to finish with just the serger. An informative basics section, reviews the principles of threading as well as main functions stitches for your serger. 143 pg, Softcover 10" x 8"